Rick Edwards is a familiar face across households across the UK, whether it’s his work on T4, The Paralympic Breakfast Show during the 2012 Paralympics Games or the BBC 1 daytime quiz !mpossible. Rick is the perfect addition to your event as a speaker or host. 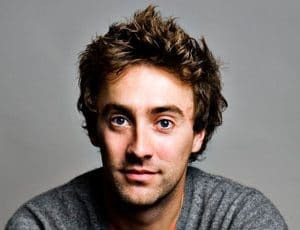 Rick began his career on the standup circuit after graduating in Natural Science from Cambridge University, and is a regular fixture on British Television as a journalist, presenter and screenwriter. 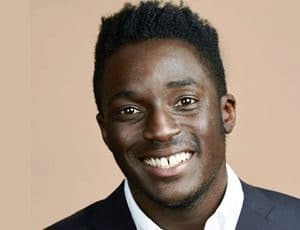 Rick actively campaigns for youth engagement in politics and voting, in the summer of 2014 delivered a hugely successful TEDx Houses of Parliament talk offering solutions to get more young people to vote. Throughout the 2015 UK General Election, Rick co-presented the political discussion show Free Speech on BBC Three, bringing political discussion and debate to a younger audience and highlighting the importance of engaging young voters. RIck’s first book, None Of The Above, which describes the basics of the political process in the UK, the issues facing the country and explains the power of your vote, was published in 2015. In addition to his passion for politics, Rick hosts the podcast Science(ish) with Dr. Michael Brooks which investigates the science behind popular culture, the podcast has been so successful that a book of the same name is being published by Atlantic.